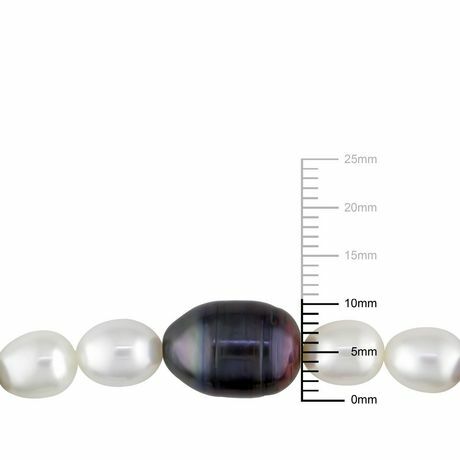 ›Asteria 6-11mm White and Black Baroque Cultured Freshwater Pearl Stretch Bracelet, 7"
Asteria 6-11mm White and Black Baroque Cultured Freshwater Pearl Stretch Bracelet, 7"
Add elegance to your everyday look with this exceptional Pearl Stretch Bracelet. 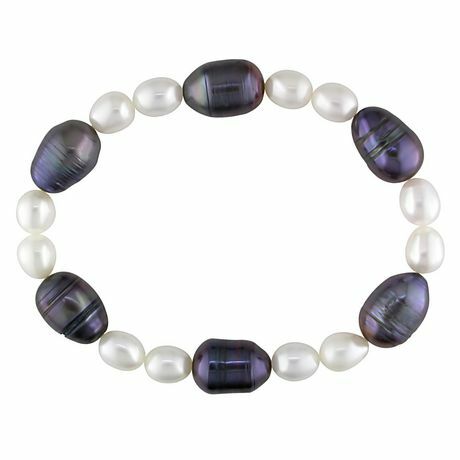 This modern bracelet features 10-11mm rice-shaped white and 6-7mm irregular-shaped black precious baroque cultured freshwater pearls. This striking bracelet is the perfect choice and makes a beautiful addition to any jewelry collection. Asteria Jewellery: Dreamed up of diamonds, gemstones and pearls reflecting the allure and mystery once darkness falls. These captivating designs are uniquely beautiful and of timeless quality.